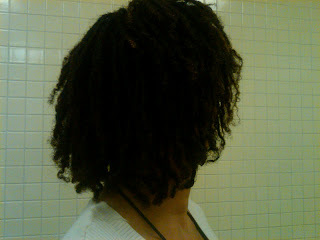 In true teenage loc form, my locs are quite fuzzy and fluffy at this point. Because of my hair texture and the way my loctician sectioned my hair to follow the curl pattern, the ends of my locs still have curly-q's, which I rather like because they somewhat mask the fact that I have a wild mess of teenage locs underneath. 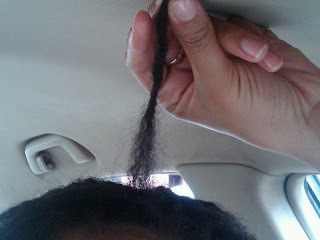 Most people recognize that I have locs, but I still have a few people question whether I have locs or twists. I actually try to keep my hair as full looking as possible by not overtwisting or using too much product (which is a good idea at any stage). Even though the full length of my locs are fuzzy, I only focus on twisting and clipping the locs close to the root to maintain maximum fullness. I actually prefer how my locs look the one to two days after a fresh retwist after I've had the chance to sleep on them and muss them up a bit. My current maintenance routine involves washing and retwisting about once a week. I tried washing without retwisting last week and discovered that my locs are not quite ready for all that. They tangled and crept together and were just a mess. I do an apple cider vinegar pre-treatment that I leave on my scalp for about an 30 minutes, shampoo, then follow with a rosemary infused apple cider vinegar rinse. I retwist using a palm rolling technique with a teeny dab of Organic Root Stimulator Lock & Twist Gel and/or Carol's Daughter Loc Butter. The loc butter has less hold to it, so I use it by itself when I want immediately full locs. I usually leave the double prong clips in overnight and take them out in the morning. For moisturizing, I use a small amount of Carol's Daughter Lisa's Hair Elixir every morning or every other morning. 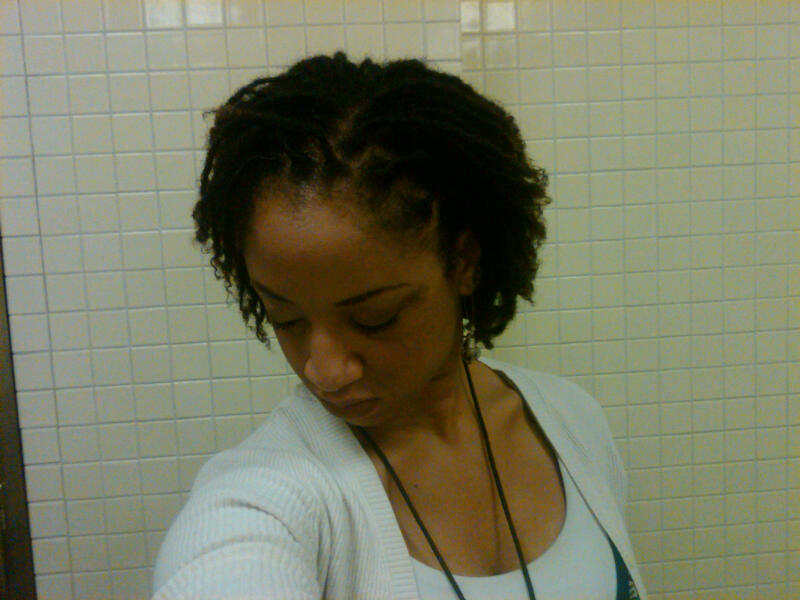 Mentally and emotionally in relation to my locs, I have my good and bad days, but on the balance things are good. Going through this the second time around (and having the benefit of being a few years older) I don't worry about how they look as much. Yes, I still like to look good, but I've accepted and embraced the organic beauty of teenage locs as opposed to a manicured, no hair out of place look. I do have my days (or weeks) when they just do not act right, when one renegade loc will not lie down, or the whole lot of them are just lying flat. I have my days when I wish I could just wrap them up for the next 4 months and not think about them at all. I do find that my locs look better when I am in a better mood and worse when I'm feeling down, so I try my best to stay in good spirits (but I'm human so I don't always succeed). Overall I'm very pleased with my progress and am thoroughly enjoying this round of teenage locs. While I'm definitely looking forward to a head full of fully mature locs, for now I'm embracing this phase of my journey.